Have you ever wondered about a road trip to the far north, north of the Sixtieth Parallel? 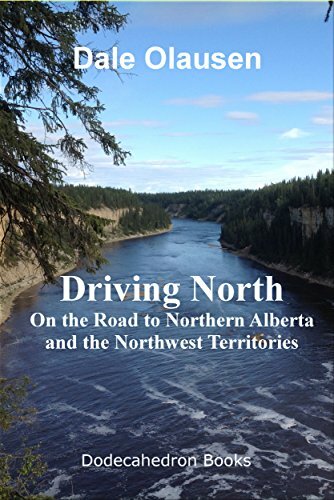 Well, here is your chance to read about three road trips, through the Peace River country and the northern Rockies, all the way to the shores of Great Slave Lake, just south of the Arctic Circle. It’s free this week (Feb 22 to 25, 2017) on Amazon, 99 cents at other times (or always free if you have Kindle Unlimited). The highways in northern Alberta and the Northwest Territories give one the opportunity to drive pretty far north, without a lot of elaborate preparations and extreme expense. Starting from Edmonton, one can drive as far north as Yellowknife, NWT, without leaving the hardtop, so an average vehicle can do the trip. There are a reasonable number of fair sized towns along the way, so accommodations are not much of a problem, either. The same goes for food, gasoline and other essentials. 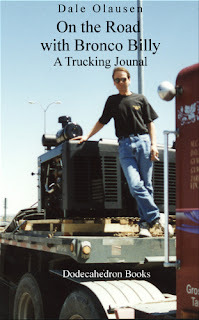 One can also link up with the Alaska Highway, and the Dempster Highway, and make it all the way to the Arctic Ocean. But that’s another story. Trip number 1 involved driving north through Alberta, visiting several areas of interest along the way, then into the Northwest Territories, to Hay River on the southern shore of Great Slave Lake. The return trip featured a drive through the north-central foothills of the Rocky Mountains. Trip number 2 was a combined air and car trip. We went to Yellowknife, Northwest Territories by airplane, then rented a car to explore much of the area of the north shore of Great Slave Lake. Trip number 3 was a return to Hay River, with a different travelling companion. This allowed one to retrace steps, compare and contrast, and focus on some areas that we had not had time to explore in depth on trip number 1. Read about a fascinating road trip across western North America, with “On the Road with Bronco Billy”. Sit back and go on a ten day trucking trip in a big rig, from Alberta to Texas, and back again. Explore the countryside, learn some trucking lingo, and observe the shifting cultural norms across this great continent. It’s free this week (Feb 21 to 24, 2017) on Amazon, 99 cents at other times (or always free if you have Kindle Unlimited).